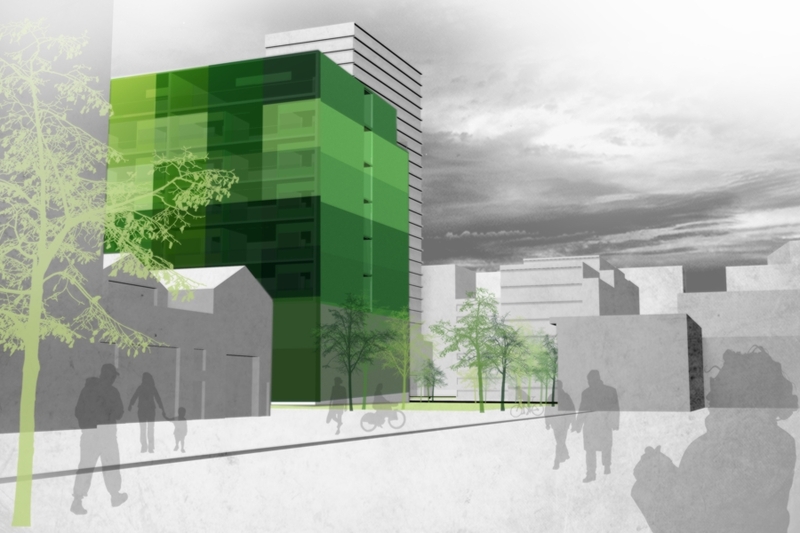 This project resulted from a shortlisted competition for a new apartment building in Sydney's Green square precinct. 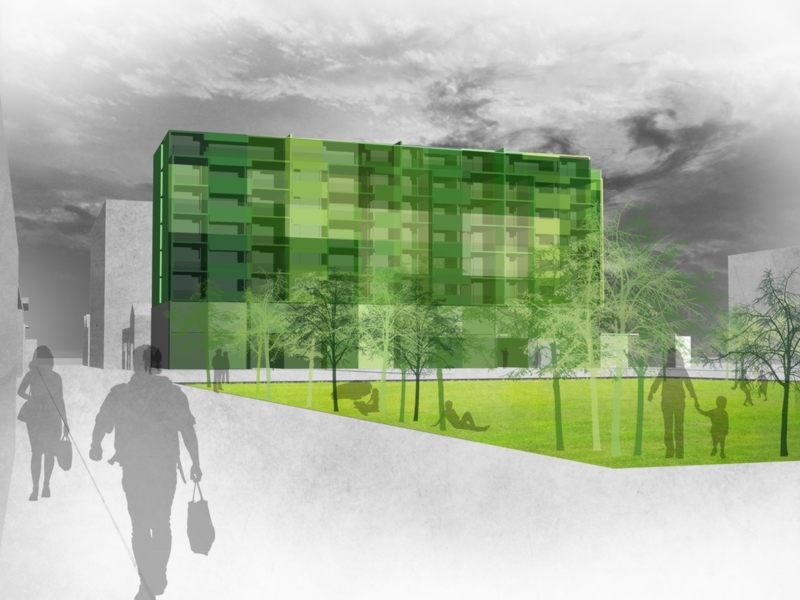 The brief consisted of 80 apartments that were economically designed but provided high amenity. 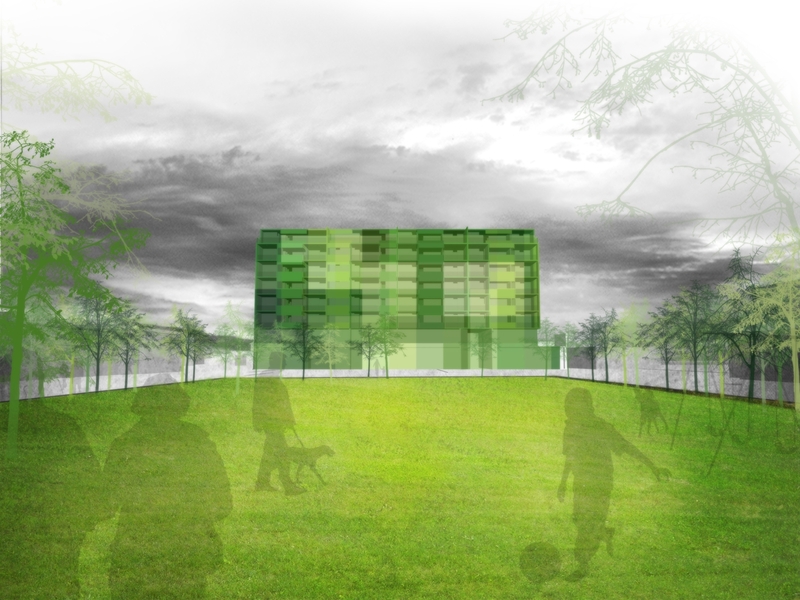 We proposed an infrastructural approach via the design of a grid system that eliminated transfer structures, provided outlook from public spaces and invited flexible apartment layouts. 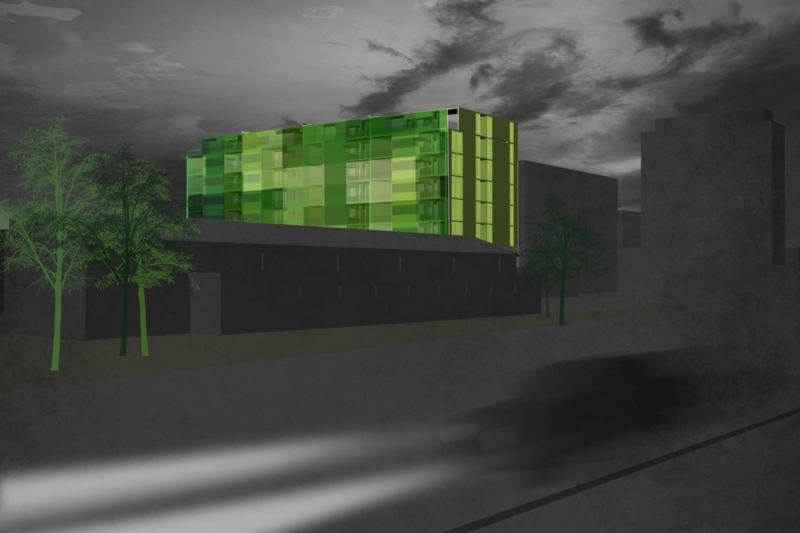 The extreme economy of the base organisation also contributed to an identity for the project beyond its structural pattern. 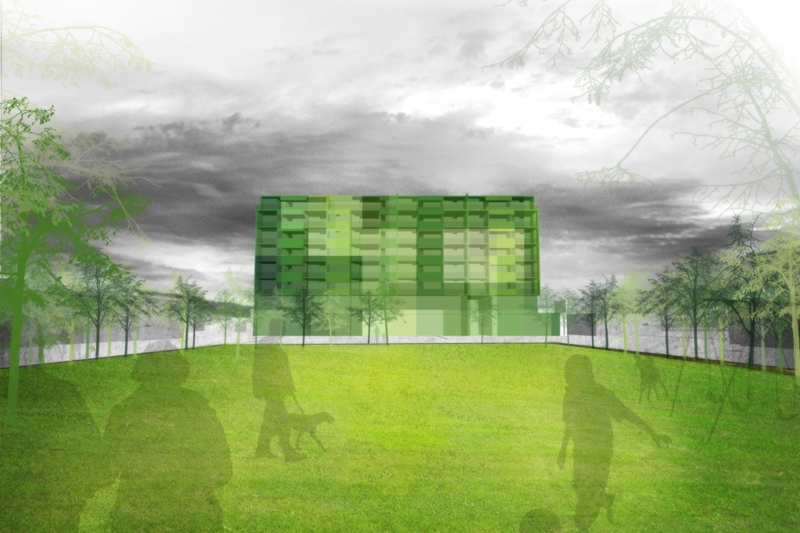 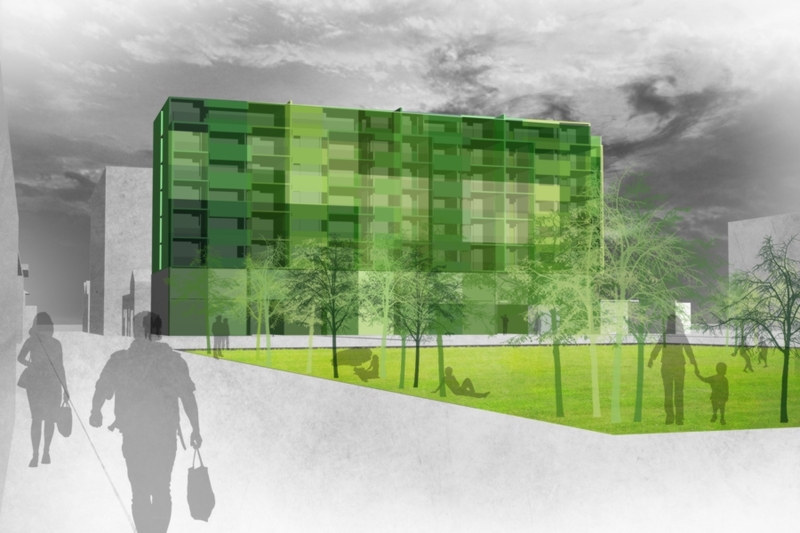 Located at the edge of a park, the building would be finished in a range of green tiles, paint finishes and glazing as a three dimensional extension of the park. 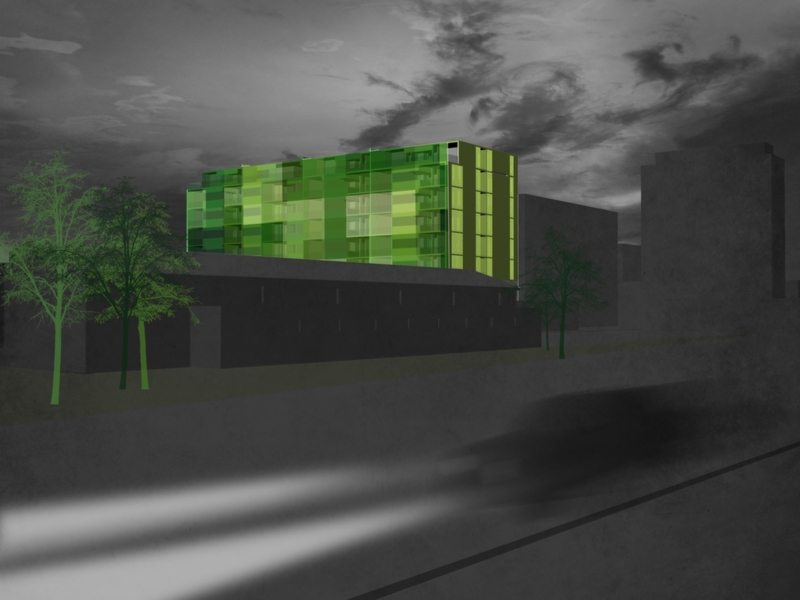 Planting on the facade fronting the park would complete the project. 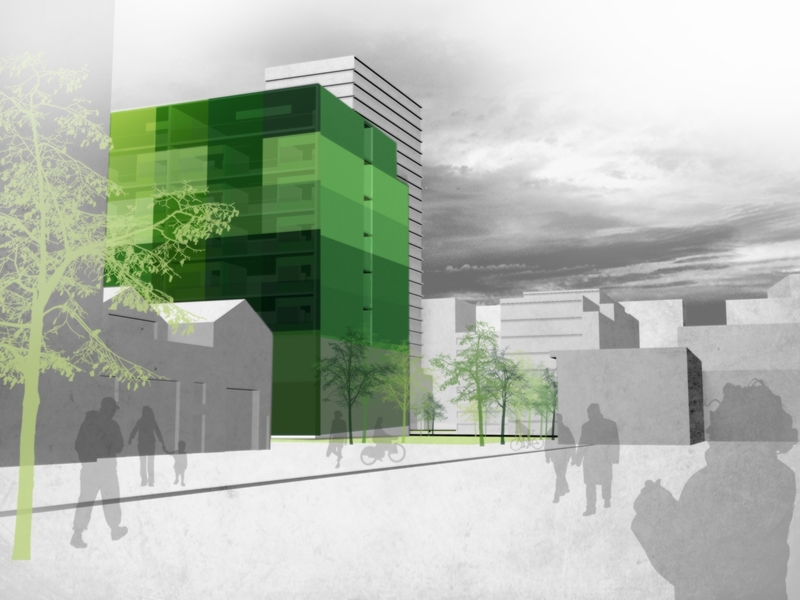 This green grid could then become a signifier from the nearby freeway of the Green Square precinct.